Here at Mountain Water Systems, We have the largest and most diverse inventory of filtration products in western North Carolina. We carry water softeners/conditioners, iron filters, carbon filters, acidic water neutralizers, UV lights, and many other products and accessories to combat your water problems. Here are just a few items we have in stock along with some necessary information about each for your convenience. Acidic Water Neutralizer: Raises the PH of water to prevent harmful corrosion and leaching. Iron filter: Removes iron which causes rust colored staining. 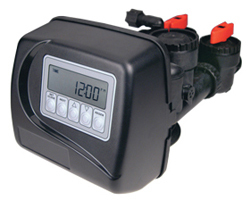 Water softener: Removes hard water, which causes white build-up and scaling. Carbon filter: Removes chlorine, volatile organic chemicals, and odors. Sulfur filters: Removes sulfur odor from well water. In-line Whole house sediment filter: Removes sediments (black/grey sand-like particles). Backwashing sediment filter: Removes high volumes of sediments automatically. Accessories and Parts: Large assortment for multiple manufacturers are in stock. We offer custom designed water filtration based on your specific needs for your well water, spring water, or municipal water supply. Please call our office at (828)683-5400 to discuss your water filtration needs further, even if what you need is not explicitly listed. All our filtration uses Clack Water Specialist control valves with custom electronics to match your applications needs. The Water Specialist series valve design was a direct result of feedback from customers. The WS1 valves we use most often are manufactured from food grade composites and are designed to provide high flow rates (up to 27 GPM) over a wide range of applications. User-Friendly – Digitally set times and programs as wells retrieve information on system performance and analytics from the display. Water conservation – Our valves are optimized for maximum water conservation and forecast water consumption based on actual metered usage. Reliability – Our six cycle valves are motor driven. There are no solenoids or diaphragms to stick or hang up. They are consistently rated the most reliable valves in the industry. Power Outage Protection – In the event of power failure, the correct time and water usage will continue to be monitored by a standard replaceable 3-volt lithium coin cell battery and resets automatically when power is restored. 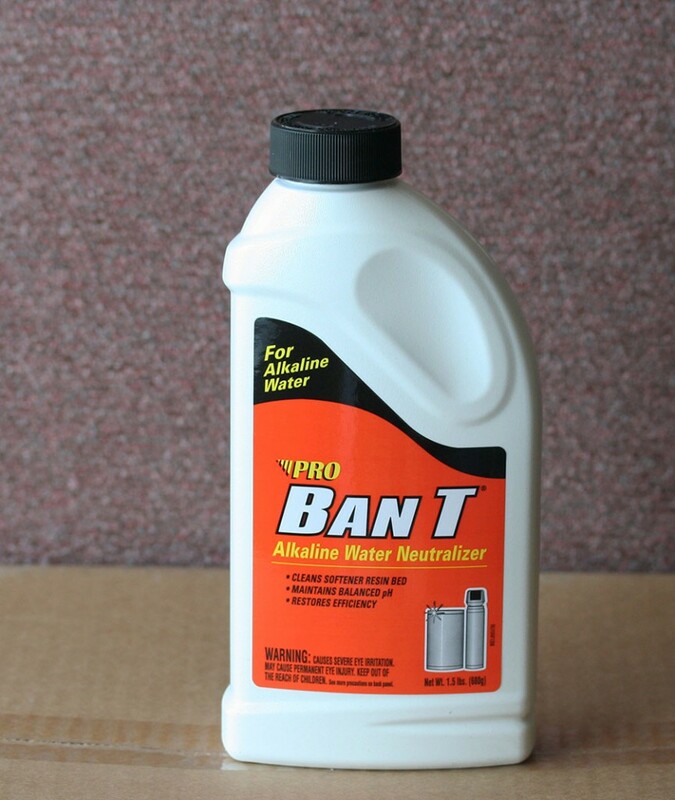 Pro Ban T is specially formulated to effectively lower pH in alkaline water supplies. This product is an environmentally friendly product that can also be used as a softener resin or general purpose cleaning agent to removes hard water deposits. 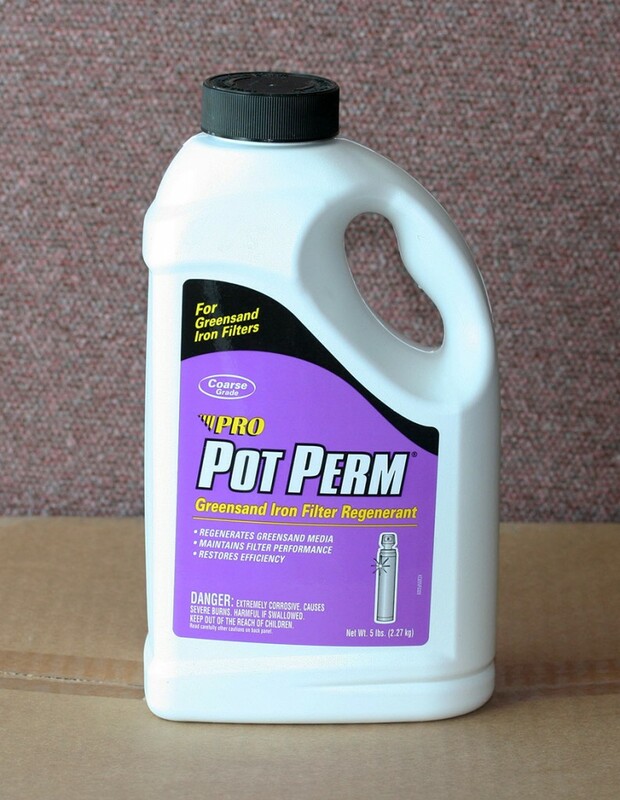 Pro Pot Perm regenerates and oxidizes greensand iron filter media, restoring the capacity of the unit. Potassium permanganate is also a strong oxidizing agent that converts dissolved iron and/or manganese to insoluble oxides which can easily be removed through filtration. 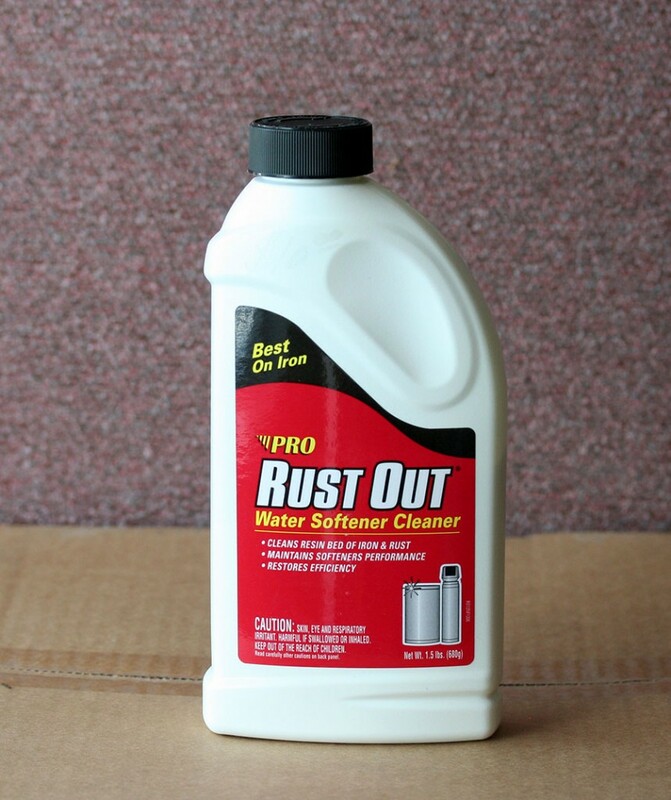 Rust Out chemically removes iron and rust build-up that coats and fouls softener resin beds. This iron build-up may not be completely removed during a softener’s normal regeneration. Using Rust Out Softener Cleaner periodically can help keep a softener clean and functioning properly. 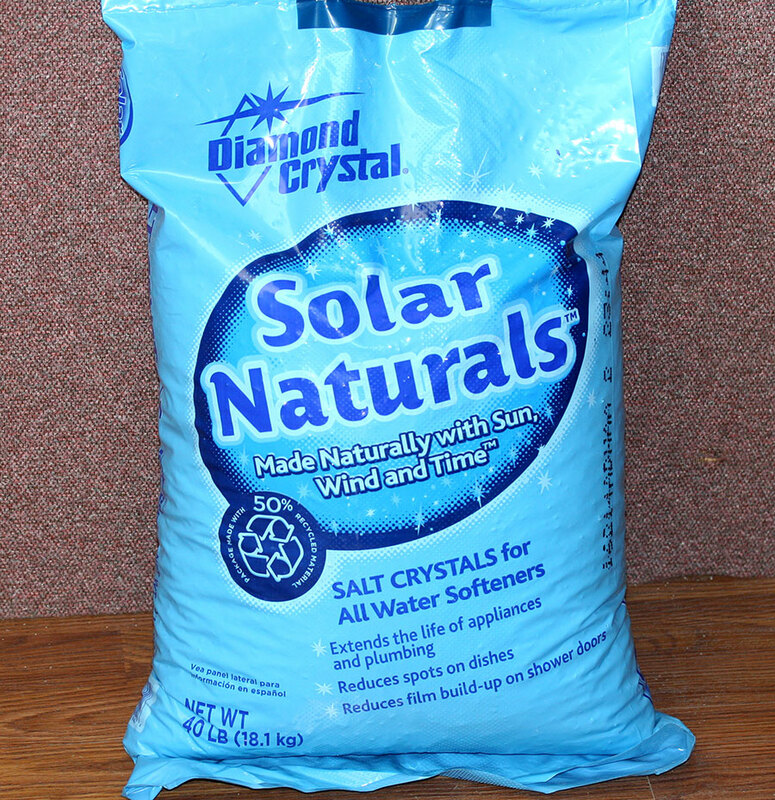 All natural salt crystal that we use and highly recommend for our water filtration. Always in stock!